Dr. Umpierrez is professor of medicine in the division of endocrinology and clinical director of the Diabetes and Metabolism Center at Emory University School of Medicine, and director of the diabetes and endocrinology section and clinical research unit at Grady Memorial Hospital, Atlanta, Georgia. 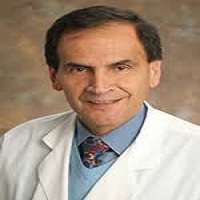 Dr. Umpierrez is the recipient of numerous teaching awards for Best Clinical Teacher and Best Mentor of Endocrine Fellows and Junior Faculty at Emory University, as well as national awards from the ACP, AACE and ADA. He is a member of AACE Diabetes Scientific Council and Board of Directors of AACE, Chair of the Global Task Force and member of the Endocrine Society Council, and member of the ADA Professional Practice Recommendation Committee. He is the Editor-in-Chief of the Editor-in-Chief of the BMJ Open Diabetes Research & Care and the Editor-in-Chief of the ADA Medical Management of Diabetes clinical series. He has published more than 260 scientific manuscripts and book chapters, and has presented over 250 abstracts at national and international scientific meetings.